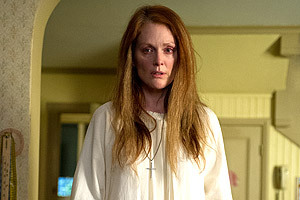 Carrie Remake Gets New Trailer. 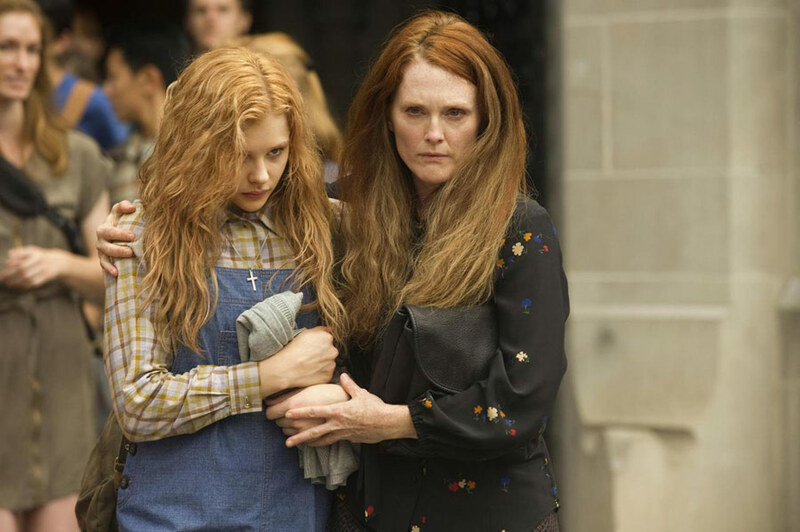 Chloe Grace Moretz, Julianne Moore and Judy Greer star in the remake of the supernatural thriller, based on the best-selling novel by Stephen King. See the movie trailers, photos and movie posters for Carrie below. 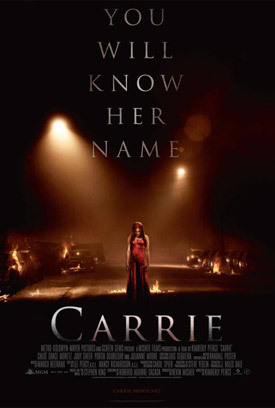 The story centers on Carrie White (Moretz), a misunderstood high-school student with no confidence, no friends…and no idea about the extent of her secret powers of telekinesis. 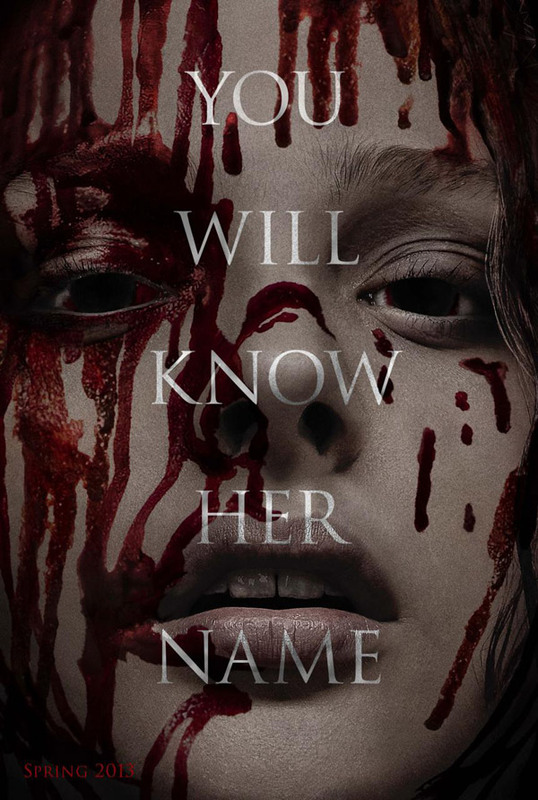 But when her fanatically religious mother and bully classmates finally go too far, the once-shy teen becomes an unrestrained, vengeance-seeking powerhouse who, with the help of her special abilities, causes all hell to break loose. 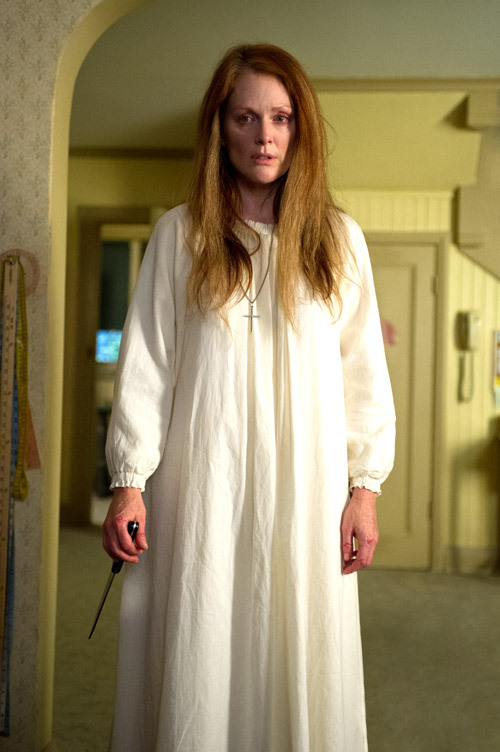 MPAA Rating: (R) for bloody violence, disturbing images, language and some sexual content.